Iran’s missile program is destabilizing the Middle East and raising the risk of a “regional arms race,” a senior U.S. arms control official has said. “Iran’s missile program is a key contributor to increased tensions and destabilization in the region, increasing the risk of a regional arms race,” Yleem Poblete, assistant secretary of state for arms control, verification, and compliance, told the UN-sponsored Conference on Disarmament in Geneva on March 20. Poblete specifically cited Iran’s support for Huthi rebels in Yemen and the Hizballah militant group in Lebanon. 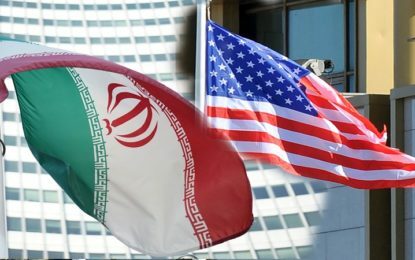 The United States has urged the United Nations Security Council to impose sanctions on Iran over its recent ballistic-missile test and launches of two satellites, saying they violate the world body’s resolutions. Poblete said Iran has provided ballistic missiles to the Huthis, who on several occasions fired them into Saudi Arabia.